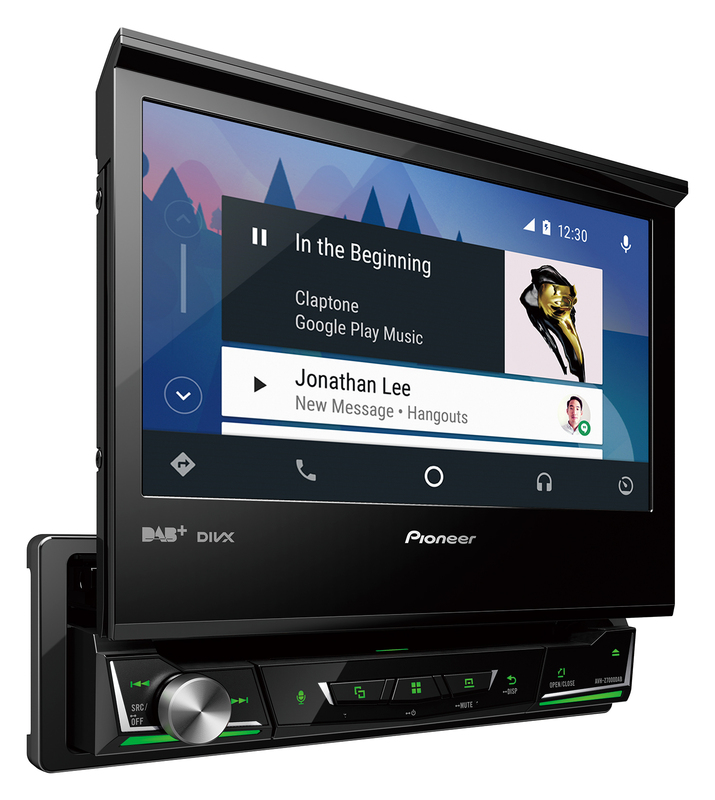 The AVH-Z7000DAB goes from 1-DIN to 7" of full-on car entertainment in seconds. 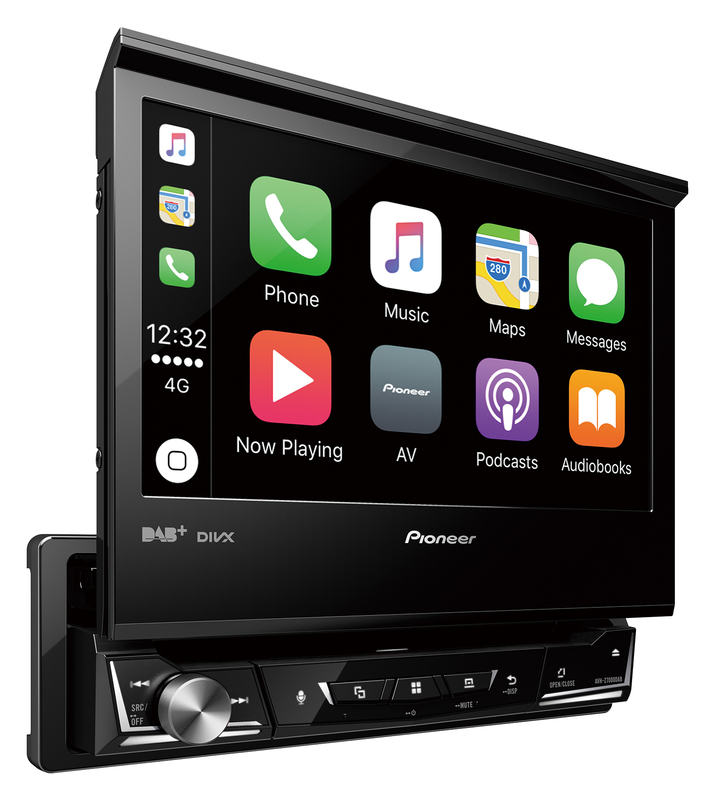 When the large touchscreen folds out, this multimedia player lets you connect to a compatible iPhone or Android phone using a single USB cable, which will allow you to control Apple CarPlay, Android Auto and Waze (Via Android Auto or AppRadio Mode +) from your dashboard in a convenient and safe way. It plays DAB/DAB+ Digital Radio, audio/video content from CDs, DVDs and USB devices.